Dammit Zoey! You're being desperate! If he's not dead, he WILL call you. lmao!! I'm laughing cause I used to play this game religiously. 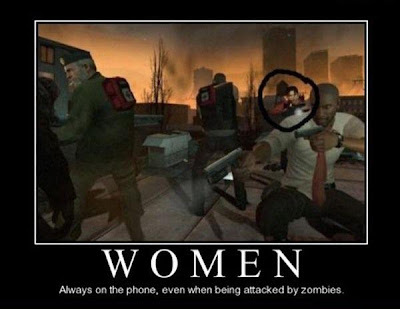 Oh how I miss killing zombies with friends. Too busy being "busy" to kill zombies here and there? lmao! L4D is awesome and I still splatter guts on it every now and then.